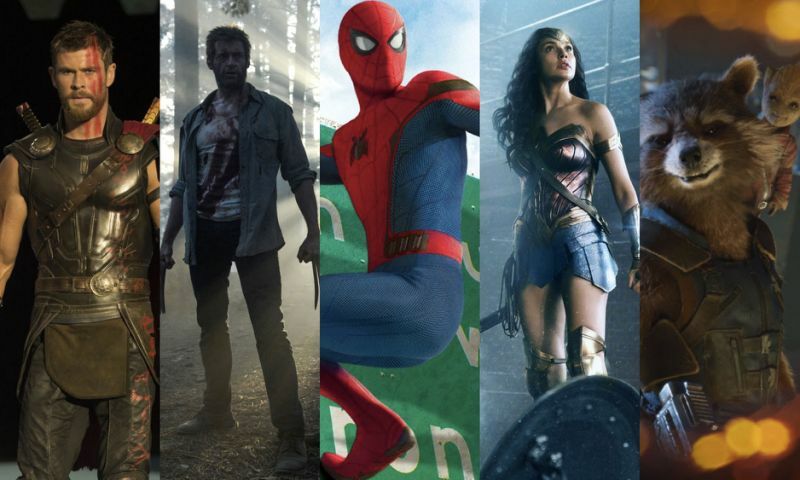 Another year passes, and another collection of superhero ensembles and solo flicks have graced the big screen once again. It certainly was an interesting year with Marvel continuing to dominate the market. Meanwhile, DC trying to get their Extended Universe back on track, as well as one beloved character bowing out after a staggering amount of time in the role. It was quite the year but what stood out among the best of the best? It’s fair to say that five films in, the DC Extended Universe hasn’t exactly been a roaring success that it would have hoped to be. Though Wonder Woman certainly helped get things on track, the familiar feel of production problems certainly effected DC’s answer to the Avengers. With director Zack Snyder stepping down from the post production process due to a family tragedy, Joss Whedon was brought in to finish the film and oversee some reshoots. Though the film has polarised both fans and critics alike (not for the first time for DC) there is much to like about this. For one it does combine Snyder’s flair for visuals with Whedon’s ability to create funny dialogue. 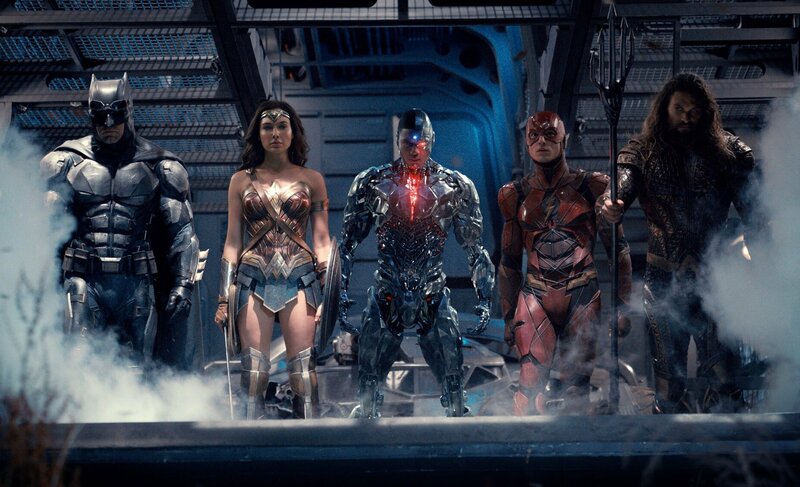 And seeing the team unite for the first time was undeniably a pleasure to watch, with memorable turns from Wonder Woman and a very exciting debut for Ezra Miller as Barry Gordon AKA The Flash. It’s not on the same level as The Avengers, but it does represent a step in the right direction for DC. Having made his glorious MCU debut in Captain America: Civil War, a solo Spidey film with him very much a part of the MCU was almost inevitable. As such, with a little bit of reorganisation, Spider-Man got his big screen MCU bow in the middle of the third phase of its cinematic universe. 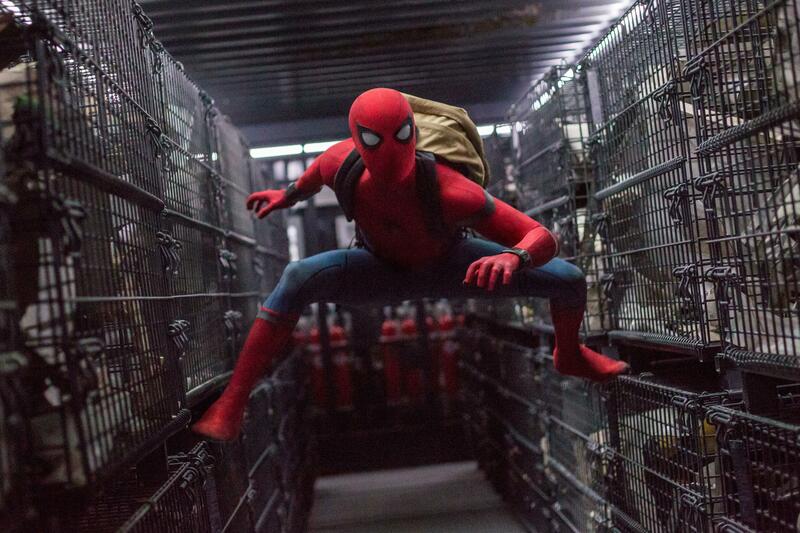 Tom Holland once again gave a superb performance as everyone’s friendly neighbourhood web-crawler, giving the character that real high school authenticity that had been somewhat lacking from the likes of Tobey Maguire and Andrew Garfield. While the story doesn’t exactly break any new ground in terms of what we have seen on the big screen for Spider-Man, Spidey battles Adrian Toombes AKA the Vulture. Given the MCU’s well documented trouble with villains, he was certainly one of the better ones we have seen, as you understood his motivations and he had a connection to Peter that made it all the more interesting to watch. It doesn’t top the first two Raimi Spidey flicks, but it’s certainly a vast upgrade on everything that came after those two films. 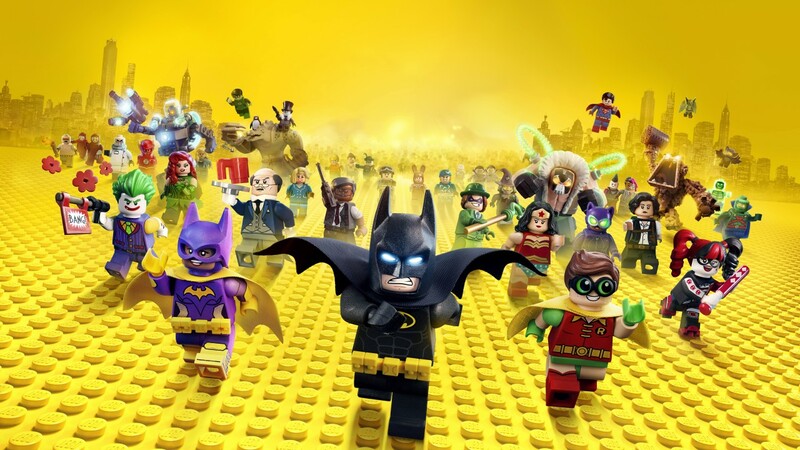 In the wake of the extremely entertaining Lego Movie, comes a spin off movie of equally hilarious Batman shaped proportions. With plenty of visual references to Batman and all of his previous incarnations, this film is paradise for all who are fans of Batman, which let’s be honest who isn’t, if someone says they’re not, don’t believe them cos they’re only kidding themselves. Will Arnett returns to voice this animated version of the Caped Crusader and Zach Galfianakis as the latest incarnation of the Joker, and considerably more well received than poor Jared Leto’s take on the character. The animation is great and the plot is extremely entertaining, albeit it does get a little bit on the silly side at times, but when it’s this much fun to watch, no one is really going to mind. When 2014’s Guardians of the Galaxy came along, it was such a wonderful breath of fresh air for the MCU, giving us a look at new characters the overwhelming majority of us had likely never even heard of. It was fun, hilarious and overall just really enjoyable. So it’s little surprise that for the sequel, James Gunn chose to replicate the formula that worked to such great effect the first time around. However, while that still makes for an entertaining flick, it doesn’t have quite the same impact as the first Guardians movie. That being said, all of the team remain very fun to watch, it continues the humour from the first film, and yes Baby Groot is freaking adorable. The story is entertaining but certain elements do bog it down, and furthermore it doesn’t retain that freshness and originality that the first movie brought. DC’s cinematic universe wasn’t exactly going well prior to the release of this film, Suicide Squad and BVS had endured rough reactions from fans and critics, and well it wasn’t looking good for the future of the DCEU. Enter Patty Jenkins to tell the story of Wonder Woman, and give us by far and away the best film that the DCEU has brought us and one that will hopefully open the floodgates for more female led superhero movies. Gal Gadot proved to be the perfect choice to play our titular heroine, she had the necessary charisma to carry the film on her shoulders, brilliantly combining such ferocity with compassion and a strong willed desire to do the right thing. 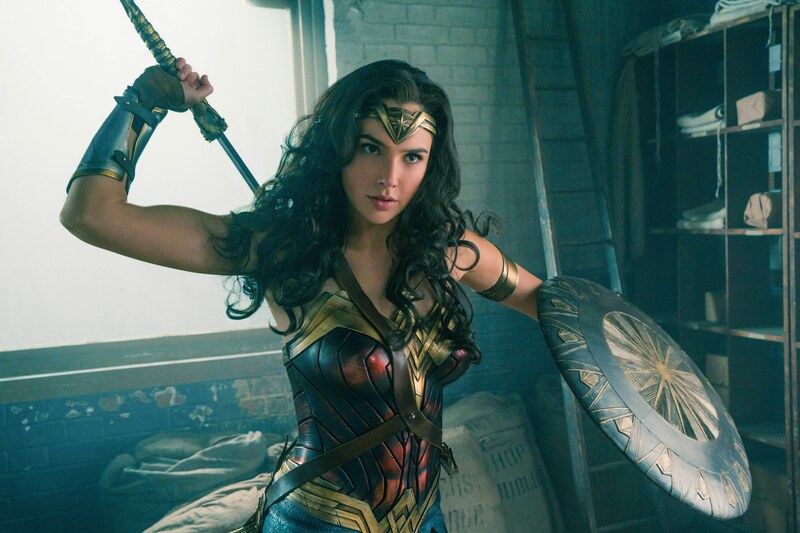 With Chris Pine in equally superb form, watching Wonder Woman enter the battlefield in the heart of the First World War, and be an absolute badass particularly in the No Man’s Land sequence made for one of the standout moments of cinema in 2017 for sure. 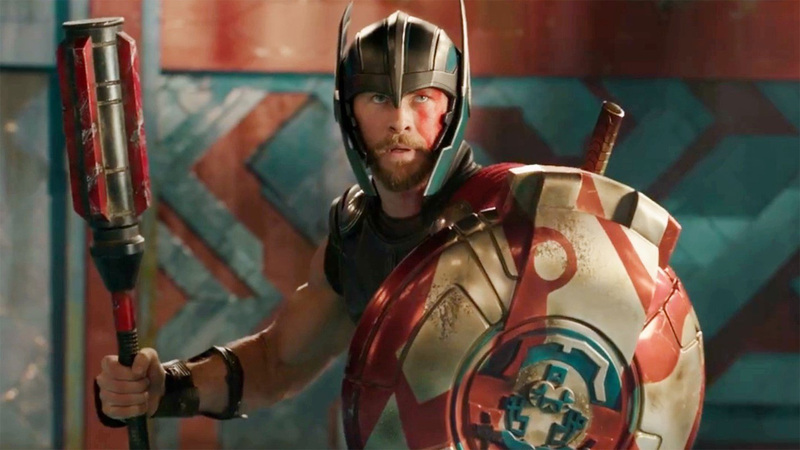 Thor Ragnarok marked the staggering 17th film in the Marvel Cinematic Universe, and it without doubt takes its place as one of the best. Marking Thor’s 3rd solo film, it defied the notion that the third film is always the worst in the trilogy as this is by far better than the previous two films. Setting up events that are very much likely to play a part in next year’s Infinity War. Directed by the delightful Taika Waititi, this film was humorous right from the word go and it never lets up. This was the MCU’s version of a buddy cop film but instead starring Thor and Bruce Banner, and one of the FUNNIEST characters that the MCU has ever given us in Korg, the loveable bunch of rocks ably voiced by Waititi himself, battling against the villainous Hela played tremendously well by Cate Blanchett. It was exciting, funny, extremely colourful and exhilarating to watch. What a way to bow out of a role and a franchise that for 17 years you have made your own. Logan marked the last time that Hugh Jackman will play the iconic character of Wolverine, and he couldn’t have gone out on a better note. Immediately director James Mangold lets you know what kind of film you’re about to watch. Right from the off, this was a much darker, and considerably more violent portrayal of the character than we have ever seen previously with quite a bit more blood and vulgarity, and all the better for it. As Logan must look after the ailing Professor X and young Laura who has some mysterious people after her. 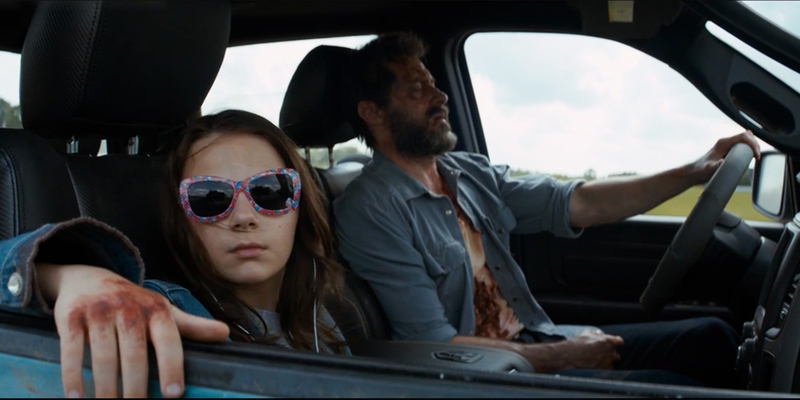 It’s a mash up between Wolverine and The Last of Us, and it’s by far and away the only superhero film that could have a legitimate shot and picking up some acting nods at this year’s Oscars. That could be wishful thinking but with an ending that will almost certainly leave you a blubbering mess, the work that Jackman has done with this character has been so extraordinary over all this years. As such, it will be an almighty task for anyone to take on this role in the future. Agree with my picks? Disagree? Let me know what your ranking would be by commenting below or tweeting me at @thrsilverscreen.